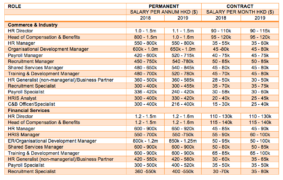 Robert Walters today released the Salary Survey 2019 for Greater China and Southeast Asia. Overall, an average of a 10% to 20% salary increment can be expected. Those with niche skills in technology-driven sectors can expect an increase of up to 30%. 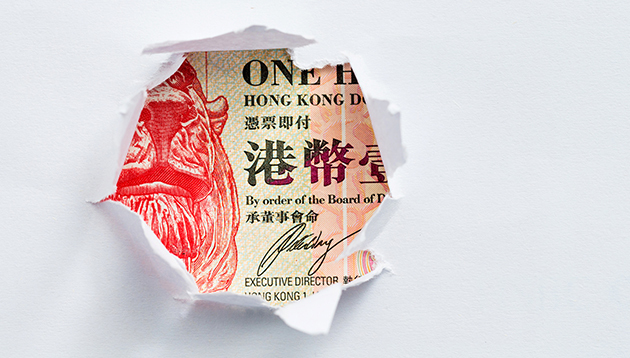 Human Resources has selected seven highlights from the report for Hong Kong’s human resources professionals. 1.There is an increasing demand for HR generalists and professionals specialised in compensations and benefits, and employee engagement. 2. Experienced HR heads and HR directors who possessed excellent communication skills and are relatively hands-on in HR operations were highly sought after. 3. Senior HR business partner roles will continue to be prominent as companies seek to link employee engagement closely with organisational strategy. 4. Retention is a priority for many companies. Hence, companies will seek professionals who have the ability to carry out a range of retention initiatives and incentive designs such as learning and development, flexible working hours and mobility programmes. 5. A growing number of HR professionals are now getting involved in digital work environments and “smart workplaces” such as mobile applications, remote access and omni-communications. 6. HR professionals who are flexible and able to demonstrate a willingness to upgrade their technology skills will be highly valued. 7. The demand for payroll specialists to fill contract roles is rising. Robert Walters is a global specialist professional recruitment consultancy. The Salary Survey is based on the analysis of permanent, interim and contract placements made across each geographies and recruitment disciplines in 2018 and the predictions for the year ahead.